As I mentioned on Monday, Gartner has launched the first and only Mobile Reference Architecture for enterprise IT organizations. 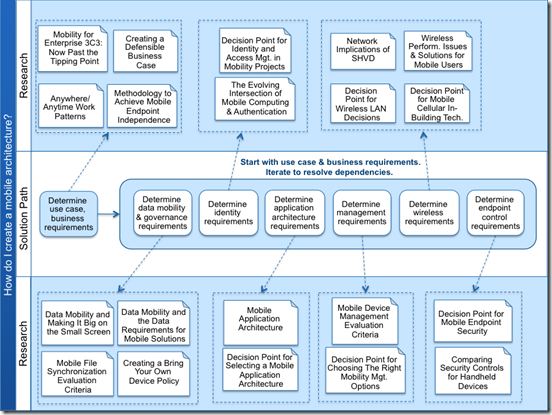 The Mobile Reference Architecture is an integrated set of research that helps IT organizations make technology, infrastructure and policy decisions that support their mobile initiatives. 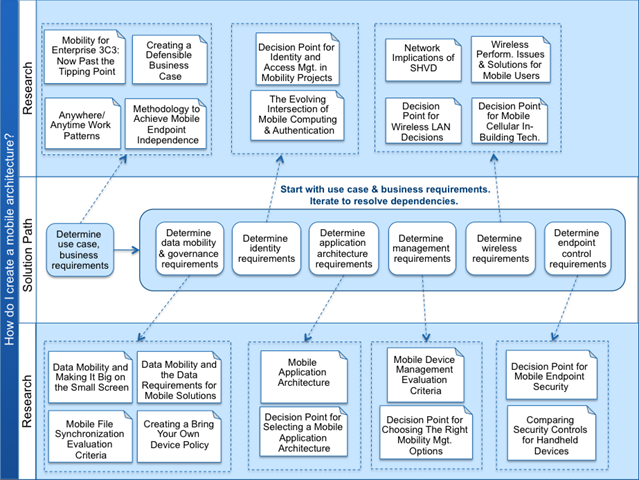 The Mobile Solution Path provides a summary of the mobile reference architecture. It helps enterprises “see the big picture” and it also provides hyperlinks to the other components in the reference architecture (see figure). 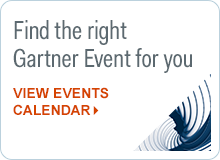 We plan to devote Tuesday, August 21st, at the Gartner Catalyst Conference in San Diego, to explain the mobile architecture. 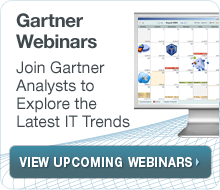 However, if you can’t make it to Catalyst, then you should check out the Gartner for Technical Professionals website. Click on the “Reference Architecture” tab and you will see titles and abstracts for each of the reference architecture reports. Enjoy!